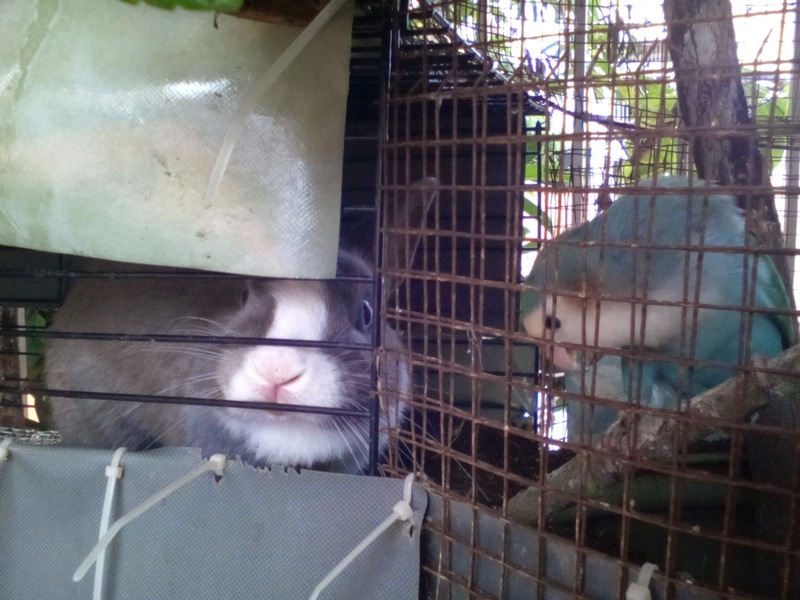 Have u ever see a cage with two types of totally different animals living toghrt? There is a living example,here in Jurong East Blk 316. 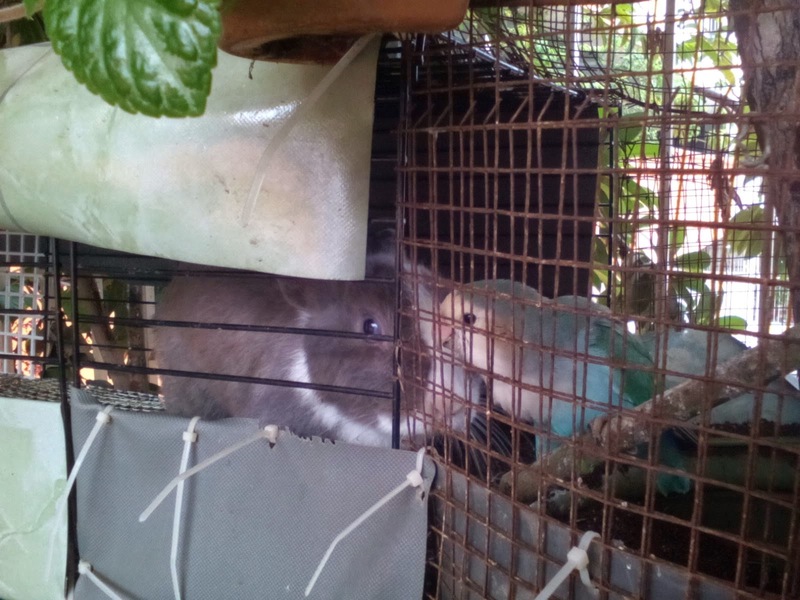 Rabbit and his best birdy friend , they share the same day cage enclosure. I was told bunnies bite wired and birdies peck. How can earth did these two get together? Dear Uncle Chow, I hope to take the opportunity of your post and bring awareness to the public. ..
First of all, the coexistence of these two animals are not by choice. They are forced to be in this situation. Secondly, that's not the way to keep rabbits. I have 2 rabbits and they roam free in my room. 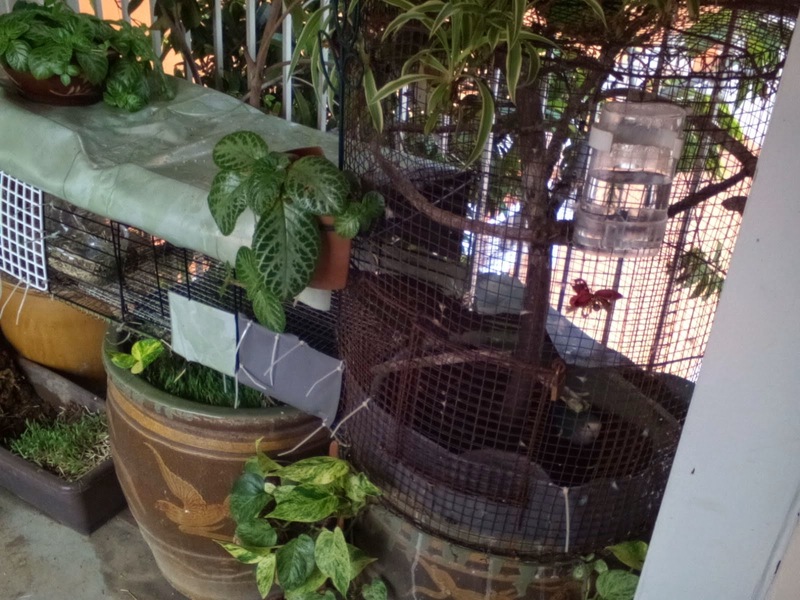 The cage used to house the rabbit and bird are rusty and they are put at the risk of being attacked by cats or other predators. The cage is so small and cramped that the rabbit can hardly move! 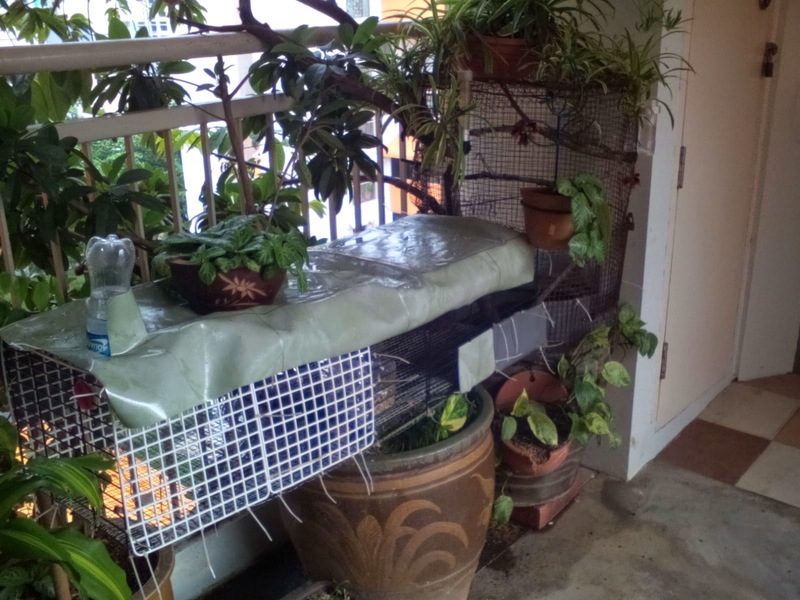 Thirdly, according to HDB rules, anything that's placed outside of the HDB flat along the corridors, belongs to the public. Anyone including the rag and bone man can take them away without seeking permission. Finally, I totally agree with you on the last point. Humans should learn from these peace loving animals and stop abandoning and placing their pets outside the house. Pets, as they are called by humans, should be treated like family members. So my question to all fellow human beings...do you keep your family member outside of your house?